The Pixel 3 packs in more screen space than its predecessor, but those shrunken bezels may not be as significant of an advantage as they initially appear. 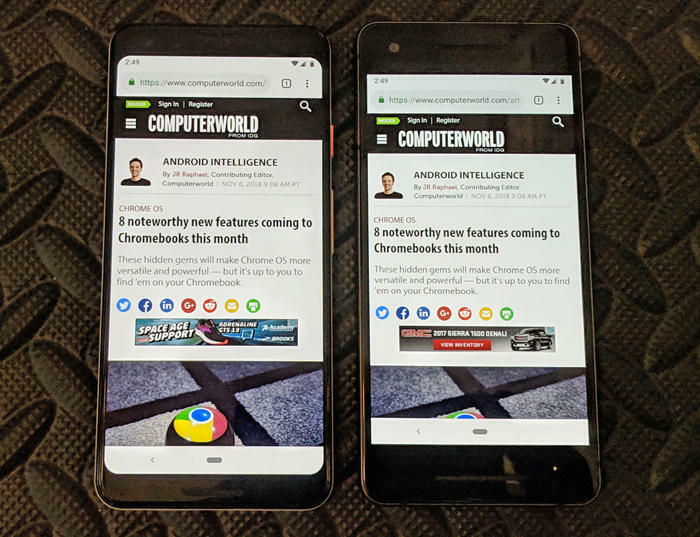 When you hear people talk about Google's Pixel 3 and whether it's worth the upgrade over the previous-gen Pixel 2, one consistent theme always comes up: If there's any reason to make the upgrade, it's for the smaller bezels and bigger screen. What folks are getting at, y'see, is the fact that the Pixel 3 packs more active display space into the same basic footprint as last year's model — which, on the surface, sure seems like a good thing. And it is a good thing! 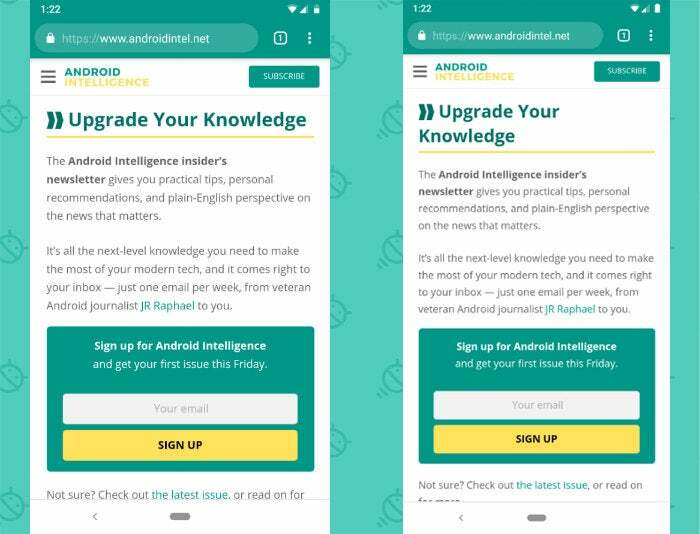 I mean, why wouldn't you want more screen space in the same sized phone, right? Well, yes. But while the Pixel 3's stepped-up screen-to-body ratio is most certainly a nice little improvement over its predecessor, I spent some time studying it closely — and I realized that in terms of real-world benefit, it isn't exactly the black-and-white leap forward you'd expect. 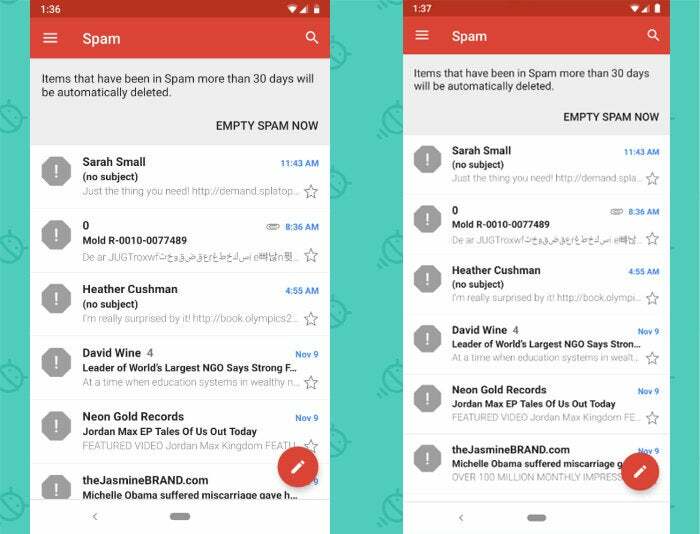 But here's the thing: All of the on-screen elements are the same size on both devices — and because the Pixel 3's display is slightly narrower than the Pixel 2's, you actually end up having less text on each line when viewing something like an email, document, or web page, as the lines themselves are shorter and thus the text wraps sooner. So in most situations, you don't truly see much more content on the Pixel 3's screen, despite the screen being taller. 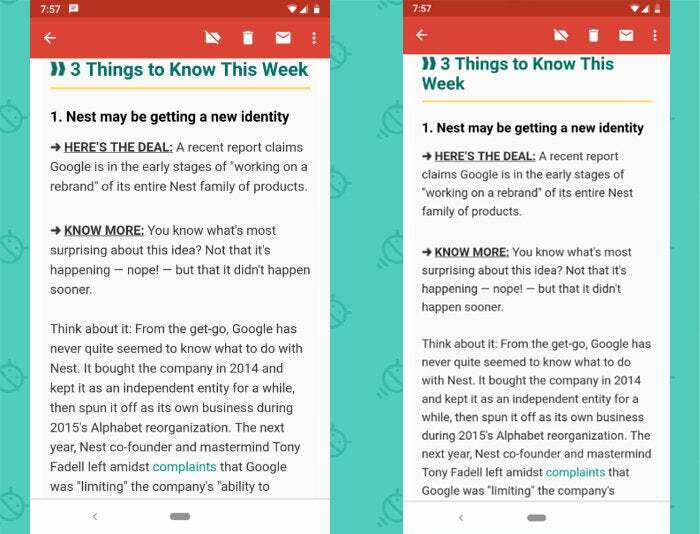 There, the Pixel 2 shows two words more than the Pixel 3 in its shorter but wider active display area. So is the Pixel 3's taller display really that much of an advantage? Visually, it certainly is — at least, from a zoomed-out perspective and in the rare instances where you're comparing the two phones side by side like a weirdo (hi!). But all in all, in day-to-day use, it's arguably a wash: Even where there are positive differences, the actual gains in terms of visible content are modest at best. And in many ways, the narrower field balances out the benefit of the taller active area, as that last illustration so nicely, erm, illustrates. 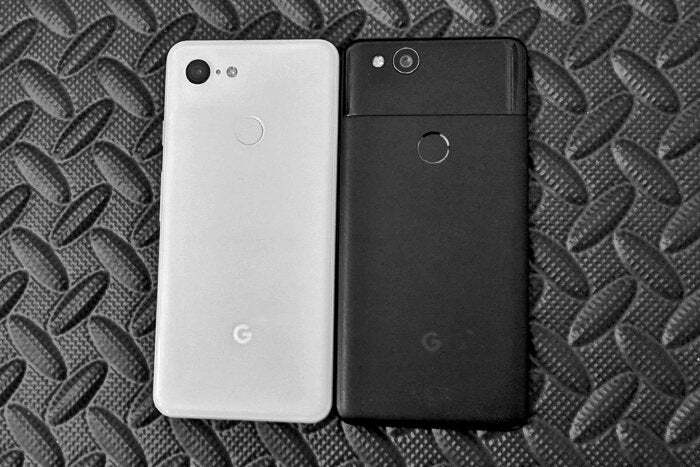 Having smaller bezels and a higher screen-to-body ratio is definitely appealing — and I think given the two choices, the Pixel 3's arrangement is the one most people would pick — but in evaluating the phones and considering a potential upgrade, it's important to keep the real-world value of such a change in proper perspective.